The White Paper on South Africa’s Science and Technology, published in 1996, envisaged a National System of Innovation (NSI) in which institutions such as universities, science councils, private sector research laboratories and market intelligence divisions would cooperate in a nationally optimal way towards solving real problems, whether these occur in industry, agriculture, defence or basic research. Since 1996 a number of innovation policy formulations have evolved as indicated in Figure 1. The development and implementation of innovation policies in South Africa has resulted in a reasonably well developed NSI as evidenced by a high research and development (R&D) investment per GDP when compared to other countries in the continent, the number of institutions involved in R&D and science, technology and innovation activities across the public and private sectors, and other traditional indicators such as number of researchers, publications and doctoral and masters graduates. Environmental assets that are protected. Several facets including skills, infrastructures, industry structures, products, regulations and policies, user preferences and cultural factors are understood to co-evolve together in a socio-technical system. The routine mode of operation of socio-technical systems has substantially contributed to weaknesses in current innovation policies. This is because these systems can be seen as a surface expression of fundamental meta-rules that have driven the evolution of these systems and the innovation system towards particular directions (i.e. the First Deep Transition). For South Africa to meet its national priorities would therefore require a radical change not only in socio-technical systems, but also in meta-rules underlying their functioning (i.e. the Second Deep Transition). During the 20th century, two main frames underpinned innovation policy globally. The first frame (frame 1) was dominant between the 1960s-1980s. It portrays innovation policy in terms of government investment in R & D as a mechanism that enables the production of scientific knowledge, which through market incentives, would result in economic growth. It is based on a linear understanding of innovation, where discovery leads to commercialisation, socialisation and adoption, but suffers from a lack of integration of regulation in science and technology policy. The second frame (frame 2) aims to make better use of knowledge production, inducing commercialisation and socialisation and bridging the gap, created by frame 1, between discovery and application. Put differently, frame 2 is an NSI model that addresses systems failure and mitigates the lack of interaction between national actors (building platforms, networks and databases), including regional and sectoral disparities. It acknowledges that it is through these linkages and interactions that knowledge is not only better utilised to induce commercialisation and socialisation, but also more appropriately produced for commercial needs. South Africa’s current innovation policy activities reveal largely frame 2 elements that include a significantly high number of NSI institution related activities and implementation instruments such as the National Intellectual Property Management Office (NIPMO) and Offices of Technology Transfer to ensure optimal use of the intellectual property generated from public investment in research and innovation. Physical or virtual Centres of Excellence (CoEs) with key performance areas in knowledge production, education and training cover elements of frames 1 and 2. 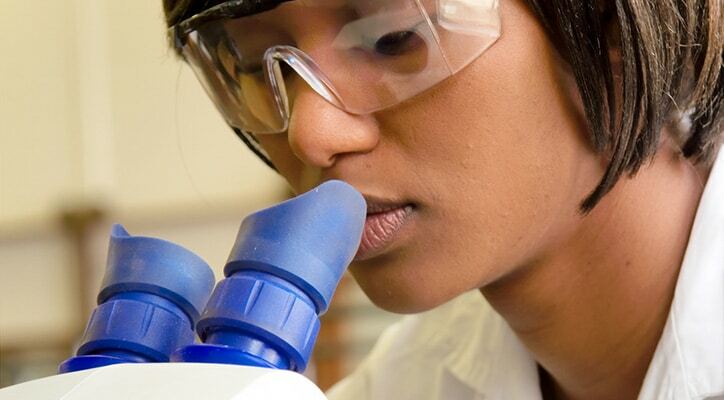 The Department of Science and Technology (DST) partners with industry and public institutions, including universities, to establish Centres of Competence (CoCs), Sector Innovation Funds, and Industry Innovation Partnerships focused on research and development and the commercialisation of new technologies. In summary, frame 1 would suggest stimulating science and technology and managing social needs and environmental challenges through regulation and a social benefit system. Frame 2 would suggest intervening in existing national systems of innovation to achieve better alignment and coordination or stimulating entrepreneurship in relevant areas. It is important to note that frame 1 does not typically achieve socio-technical system change and inclusion of new non-research actors into the frame. Also, although frame 2 often includes a wider array of actors, its core aim is not the achievement of socio-technical system change or transformation. Therefore, a new third frame is needed that focuses on transformative change, hence the recent discussions in academic and development circles on the need for Frame 3. Frame 3 takes as its starting point that the outcomes from innovation are not necessarily certain or beneficial. For example, it is recognised that technology development might lead to some negative outcomes in the short term, such as unemployment in sectors experiencing rapid technical change, but in the long term, there would be a move towards higher quality jobs (i.e. creative destruction). Innovation may also lead to destructive creation, benefiting a few at the expense of the many, leading to low quality jobs and creating more problems than it solves. A particular challenge area is technological change that drives adverse environmental changes. Many technologies are deeply implicated in a set of persistent environmental problems. They contribute to the current resource-intensive, wasteful and fossil fuel-based paradigm of mass production and mass consumption. Frame 3 focuses on approaches that will effectively mobilise the power of innovation for addressing a wide range of societal challenges including poverty reduction, climate change and inequality. Under this frame, innovation policy aims to change socio technical systems and tries not only to influence the rate, but also the direction of innovation. This requires the transformation of governance arrangements between the state, the markets, civil society and science, more space for experimentation and societal learning, a more constructive role for foresight, helping to shape innovation processes earlier on and on a continuous basis, and the development of new types of knowledge, fusing social science, humanities, engineering and natural science. The emergence of frame 3 does not necessarily replace or displace frames 1 and 2. Rather, they all compete for the imagination of policy makers and ultimately citizens. Rationales and arguments for particular policies and the actions that follow from them is influenced by the prevalence and understanding of the framings. Although frames 1 and 2 currently dominate innovation policy in South Africa, the 1996 White Paper on Science and Technology called for efforts to address social, environmental and sustainability issues and promote entrepreneurship, elements of frame 3. The Finnish Funding Agency for Innovation (TEKES). The establishment of the consortium is based on the urgent need for innovation policy to integrate the central issues of our time: climate change, inequality, jobs and economic growth. The consortium aims to shape and deliver elements of this new innovation policy through a process of co-creation. During the process all participants are positioned as active co-researchers and co-policy designers. Although the work of the consortium is in its pilot phase, it aims to provide an (impressionist) overview of science, technology and innovation policies through the lens of the frames 1 to 3 typology, and conduct a portfolio of case studies (policy experimentation) to demonstrate examples of attempted phase 3 policies. The benefits of this approach will be two-fold: firstly to develop a shared understanding among the policy makers and researchers, and secondly to provide lessons for improvement. It is envisaged that both the overviews and case studies will be used to develop a five-year program for the consortium. Furthermore, deliberate innovation policies provide platforms for incubation and transformation of research outputs into tangible goods and services. Like any other development intervention, it is important to monitor and evaluate innovation policies and their accompanying programmes and projects to ensure delivery. Therefore, the TIPC activities can be envisaged as a starting point to develop an explicit results’ chain and a framework that will allow us to monitor and evaluate these interventions. The Cofimvaba School District Technology Project has been selected as the South African case for transformative change in learning systems. It is a joint initiative between the Department of Science and Technology (DST), the national Department of Basic Education (DBE), the Eastern Cape Department of Education and the Department of Rural Development and Land Reform (DRDLR). It is aimed at contributing to the improvement of education in a rural setting through technological innovation. South Africa’s science, technology and innovation policies are still heavily driven by the traditional aims of innovation policy: competitiveness, growth and economic development and industry building. Drawing from Einstein’s words in the opening paragraph, achieving radical change in socio-technical systems need to be explored through design and experimentation of innovation policy for transformative change. Priscilla Mensah is Director in the Institutional Engagement and Partnership Development Directorate of the National Research Foundation (NRF) in South Africa. She is a specialist in systems analysis with a specific emphasis on science and policy within South Africa and beyond. Sepo Hachigonta is the Director of Multilateral and Strategic Initiatives (MSI) at the National Research Foundation (NRF) of South Africa. He has extensive work experience in trans-disciplinary fields and the regions’ science, technology and policy sector. Imraan Patel is Deputy Director General: Socio Economic Innovation Partnership at the Department of Science and Technology (DST) in South Africa. A public policy and strategy specialist with a focus on the related areas of innovation, sustainability, social and economic development, and public management and governance. Kambidima Wotela is a researcher and facilitator in development interventions, monitoring and evaluation, analytical and research methods. His current interest is linking as well as contextualising development, public policy, leadership, governance, monitoring and evaluation. Chux Daniels is a Research Fellow in Science, Technology and Innovation Policy; and, a Teaching Fellow in Innovation Studies, both at SPRU (Science Policy Research Unit), University of Sussex, UK.